Summit Ministries recently partnered with Barna Group in a study to gauge how ideas from other key worldviews have infected Christians’ beliefs about God and the world around us. For over 30 years, Barna has conducted research showing a gap between the beliefs of practicing Christians and the historical understanding of biblical Christianity. This new research sought to identify the source of many nonbiblical ideas infecting Christianity, and found strong agreement among practicing Christians with ideas unique to nonbiblical worldviews. The research was conducted in support of the development of Jeff Myers’ new book: The Secret Battle of Ideas about God—Overcoming the Outbreak of Five Fatal Worldviews. This book and supporting church resources explores the dangerous way nonbiblical perspectives infect Christians. Like all people, Christians seek answers to difficult questions that life presents. The problem is, too often they look in the wrong places—to ideas that seep in from nonbiblical worldviews—and find less than fulfilling answers to questions about love, pain, meaning, peace and hope. 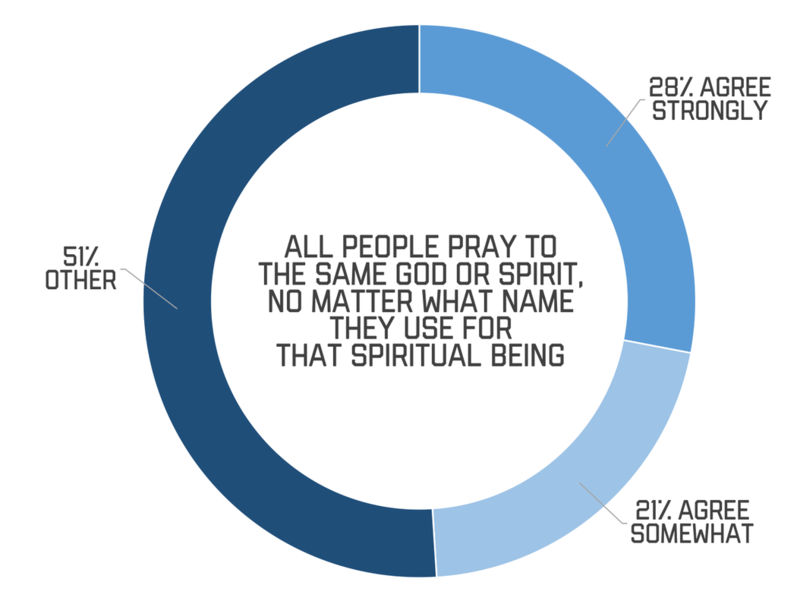 For example, from Barna’s study, more than 49% of practicing Christians agreed with the statement, “All people pray to the same God or Spirit, no matter what name they use for that spiritual being,” a nonbiblical concept that finds its source in New Spirituality (a conglomeration of New Age/eastern religions/paganism and pseudoscience). Join Jeff Myers on a fascinating journey exploring today’s worldviews and what they say about life’s biggest questions. What he discovers will astound you, strengthen your faith, and inspire a newfound sense of love, healing, purpose, peace, and hope for Jesus in your life. The Secret Battle of Ideas about God will help you, your family, and your church overcome dangerous worldviews and stand firm with a solid Biblical foundation. Learn more by downloading free samples of the book, participant’s guide and video curriculum today at secretbattlebook.com. Purchase the book in the Summit Bookstore.